Family Capital asked its readers earlier this year who they felt were the top advisers for family investment groups. 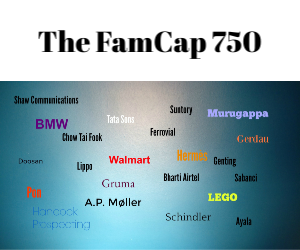 Armed with more than 200 recommendations from them and through its own efforts to speak to family offices and other advisers, Family Capital has drawn up a list of the top 40 advisers. The list is across multiple disciplines, so it includes financiers, lawyers, tax specialists, and consultants. If family officers were to gather all these specialists in one room, they would be blown away with the intellectual and practical capital available to them. These are top specialists and the experts in the increasingly competitive and dynamic world of family investment offices.